Great on the BBQ, for breakfast or put through pasta. Our own make pork sausage with a mild Caribbean flavor! Hand-made burgers and kebabs, own make sausages and tender ribs.What more could you ask??? 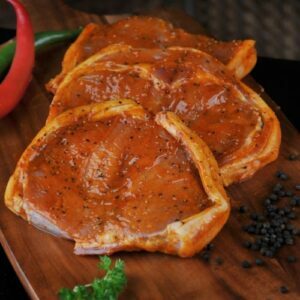 The best frying steak with an olive oil based chili marinade.